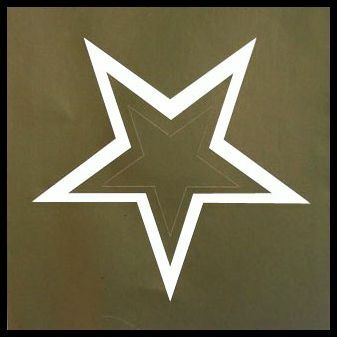 5 in 1 Star Stencil- This is a one time use stencil it has adhesive on the back to stick to the skin to create a crisp edge of the star. Step 2: Apply a cream or control adhesive in the middle of the stencil until completely covered. Step 3: Dab Glitter over the cream while still wet. Let Dry!! Step 4: Pull off stencil gently and now you will have a glitter star on the side of the face!